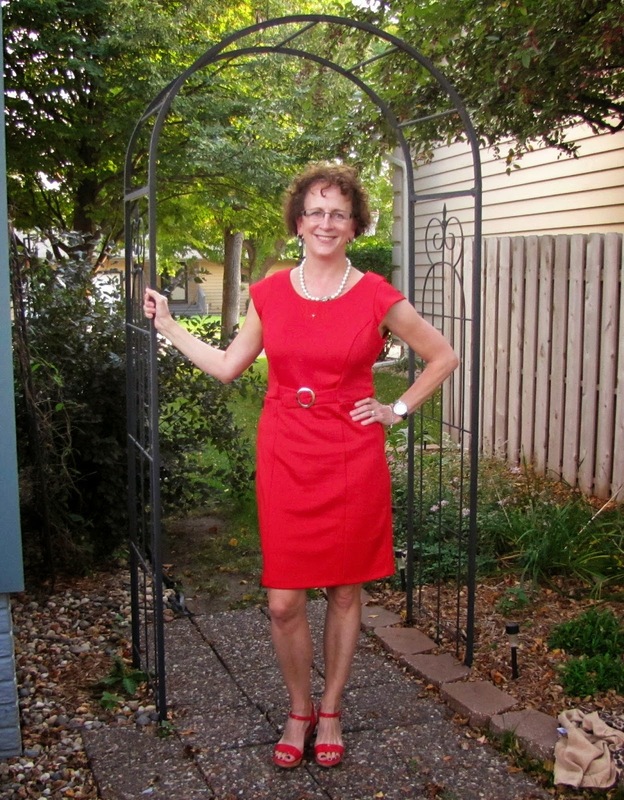 Fabric Mart Fabricistas: 4th Challenge: Lady in Red Challenge - What They Made! 4th Challenge: Lady in Red Challenge - What They Made! I was really excited about this challenge since I started thinking about what I wanted the challenges to be. And from that time on, I was on the hunt for the perfect red fabric. While I did not start working on my red dress yet, I am very inspired to try my hand at it! 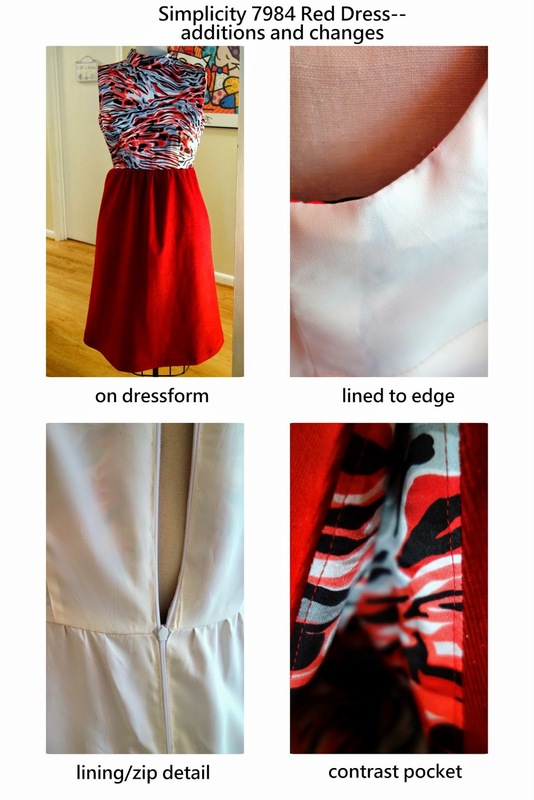 After you see these, you will want to make a red dress too! 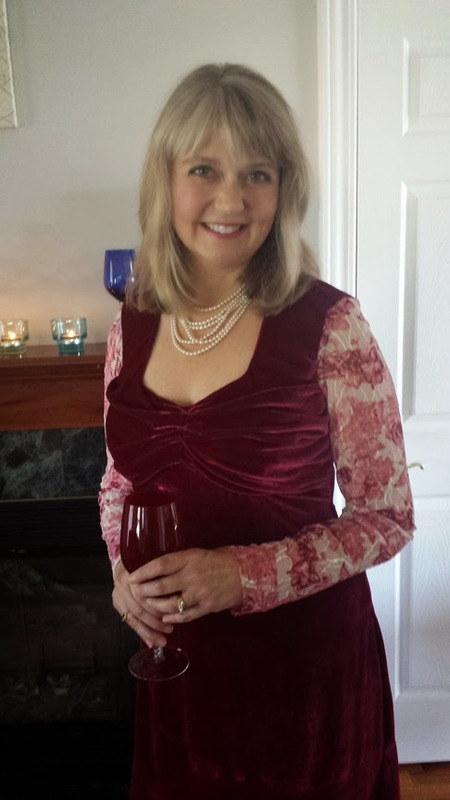 The guest judge for this challenge will be Laura Nash from Sew Chic Patterns! Also, I wanted to inform everyone that Beth from 110 Creations had to withdraw from the challenge due to an family emergency. We're sorry to see her go and send our well wishes to her and her family! Therefore, this week, no one is being eliminated from the challenge. But we still need to vote for who you felt made the best Red Dress! 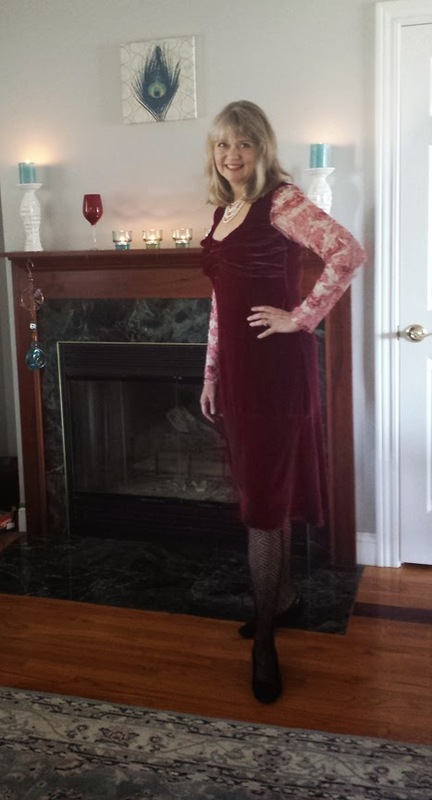 For my Perfect Red Dress, I used a ruby red rayon velvet and a rose printed stretch lace to create a winter dress for Valentine's Day using Vogue 2926 as my base with a few design changes of my own. I've always loved fashions from the 20's, and I was going for a romantic 1920's kind of vibe with this combination. Working with velvet was challenging, and this pattern had bias pieces as well, so the combination of bias and velvet was like working with a live animal-- it was constantly wriggling away from me! I learned how to use spray adhesive to keep my seams together while sewing, as well as how to press velvet, without actually pressing it with an iron. Fast forward to February 14, 2015. /Scene/ The winds are howling outside. The windows are laced with snow. My husband lights a fire and I light the candles. It's Valentine's Day. I pour a glass of wine while he checks the oven. Dinner is almost ready. 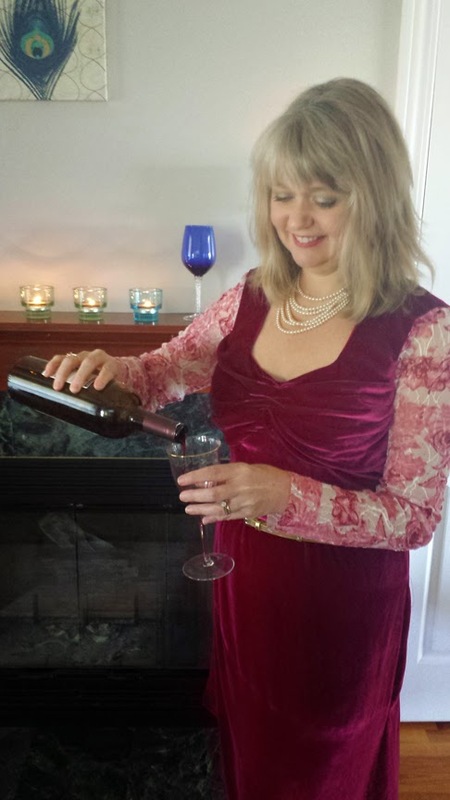 I put on my ruby velvet dress and my strand of pearls. He puts on his velour tracksuit from the 70's. I loved doing this challenge! It's fun to think of all the possible scenarios that you could be wearing a red dress in, and what form that red dress might take. I feel a little like Dorothy in the Wizard of Oz, I decided that there's "no place like home" to wear my perfect ruby red dress. 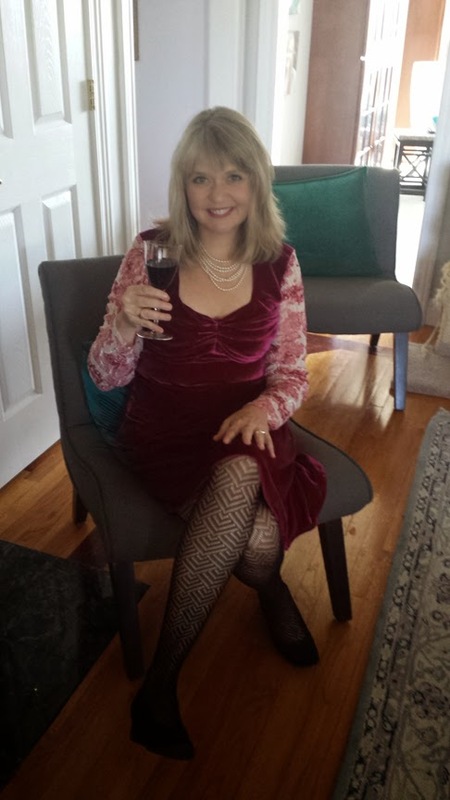 If I had this dress last year for my high school reunion, I would have 100% worn it then, but instead, I will just get all my high school buddies together and insist we have another night out drinking, partying, and having just a great old time. And I will make sure to insist that we all dress up like proper adults while doing so. I love the color red, but it doesn't really love me back since I am a "warm" spring, based on all those color charts out there. The only red I do well in is a tomato-based red, of which I have only 1 yard cuts in my stash. 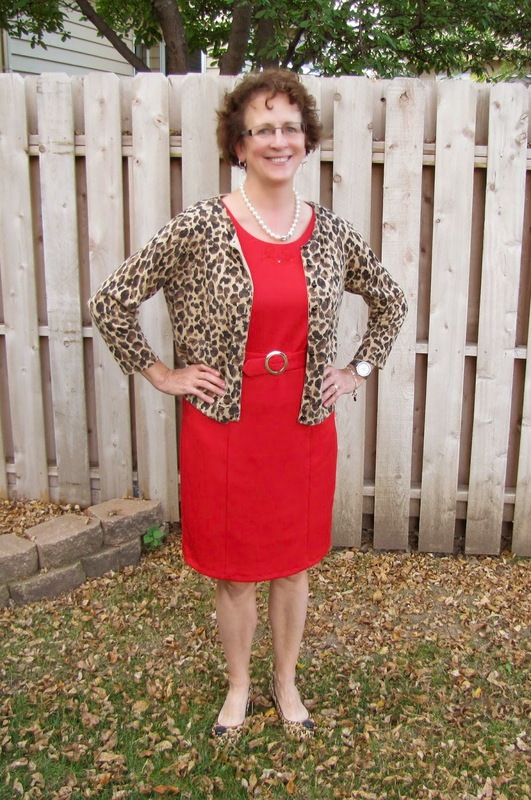 I did find a beautiful piece of fabric from September's Julie's Picks in an abstract animal print that happened to have a lot of red, so I went ahead and asked Julie to make sure I could use part print/part solid for my red dress, and she said as long as the majority of the dress was red solid, I would be good to go. Armed with that knowledge, and a gloriously wonderful Simplicity pattern from 1969 (7984--here: http://media-cache-ec0.pinimg.com/736x/d1/1c/2b/d11c2b755085a64e599129342b55b500.jpg), I knew I had myself a red dress that would love me back, and not clash with my spring skin tone. To change up the pattern, I added a full lining since I would be wearing this in the winter with tights. I added pockets and did a double-sided sash (one side is red, the other side is black.) I did not add belt carriers since I knew the sash would be fine on its own. 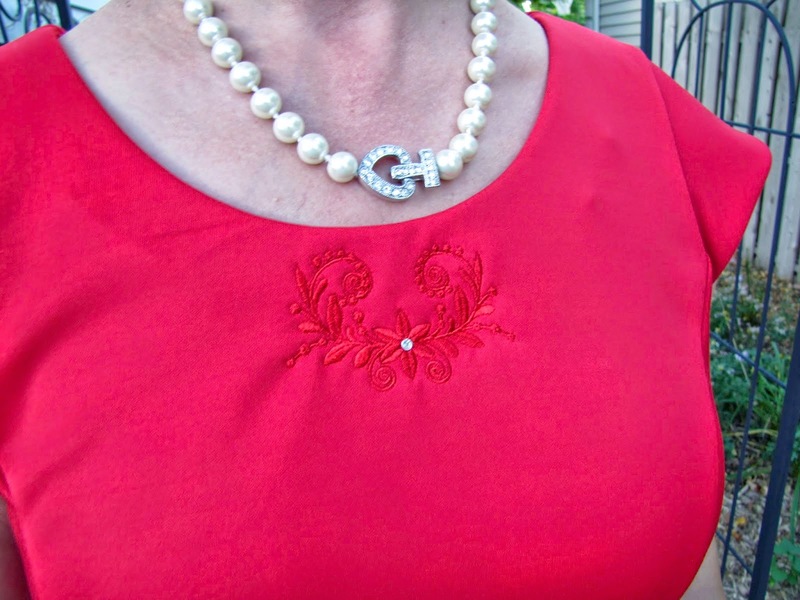 I used a polyester charmeuse from Julie's Picks for the bodice and pocket lining. 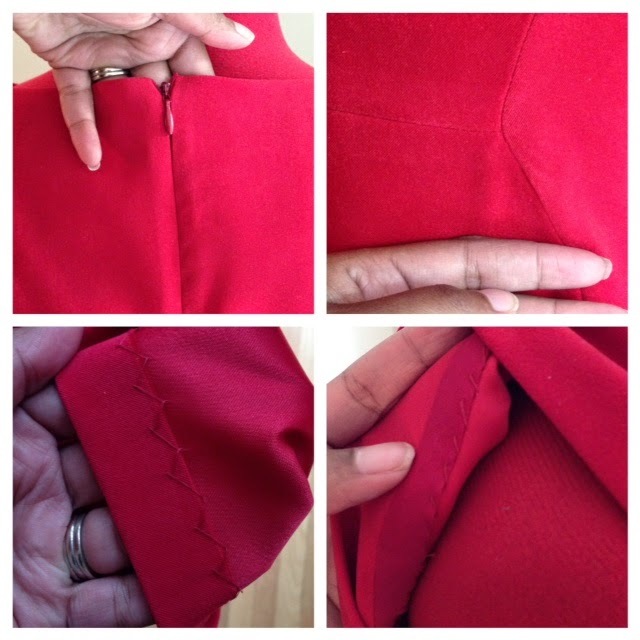 For the skirt, I used a remnant of a red stretch corduroy. For the black sash, I used a remnant of a black textured cotton canvas. Both of these fabrics were from a bundle I received from Fabric Mart last year. For the inside, I used an ivory acetate lining. 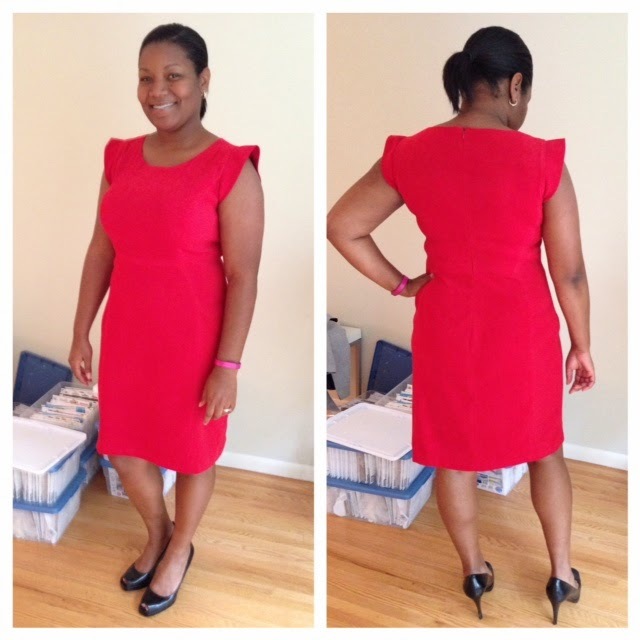 Since I own almost no items in red, this is a dress that I needed in my closet. That alone sets it apart from everything else. 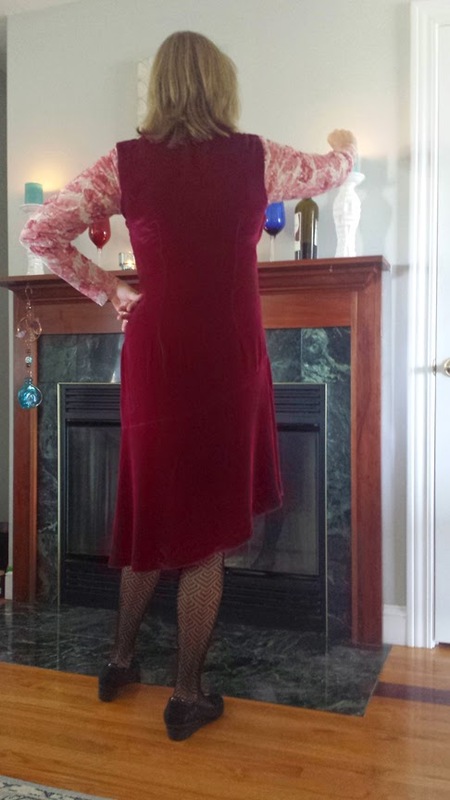 The only other dress I have in red is a solid wool dress that is a bit short and long-sleeved, so this one can be worn to certain places and in certain temperatures that the other one cannot be worn. 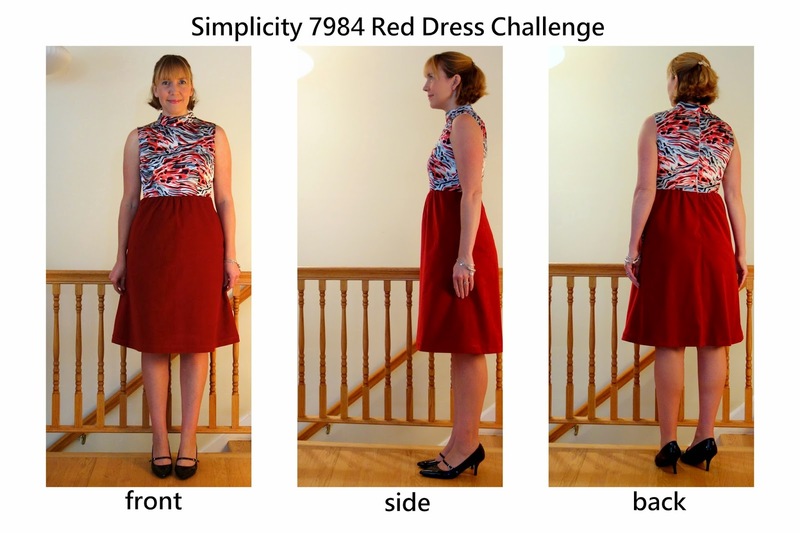 When I found out we had to make a red dress; I knew right away which pattern and fabric I wanted to use! I had this red moleskin in my stash and had Simplicity 1314 on the brain. The only thing better than a LBD apparently is a LRD! :) My red dress is getting paired with black accessories for a night out. My friends and I have a fun night planned; dinner, drinks and a show! 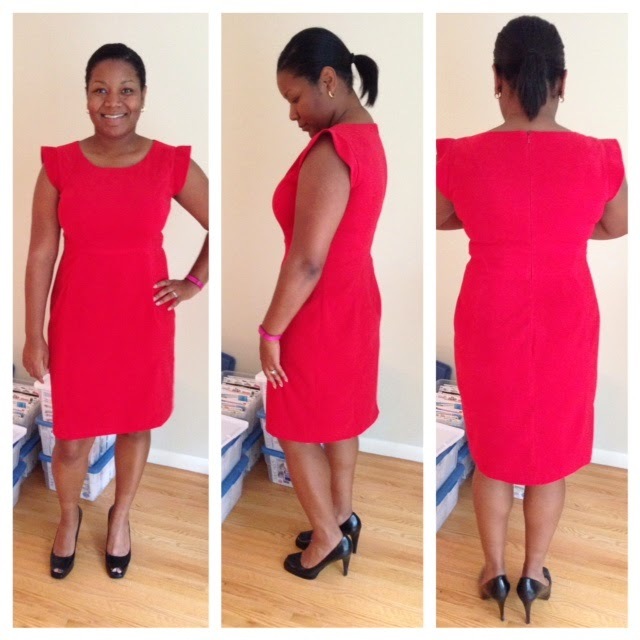 We are donning our sassiest well-fitting sheath dresses and hitting the town! Read all about construction of this fun number on the blog! A little red dress? Oh, I love pretty dresses. They give you such a feeling when you slip them on, like a special occasion is about to happen. One thing I love about dresses such as this is they can be dressed up or down, depending on the accessories. Throw on a cardigan and flats, and you have a much more casual outfit than if you wear heels and blingy jewelry. I had at least ten patterns pulled out before deciding on one. 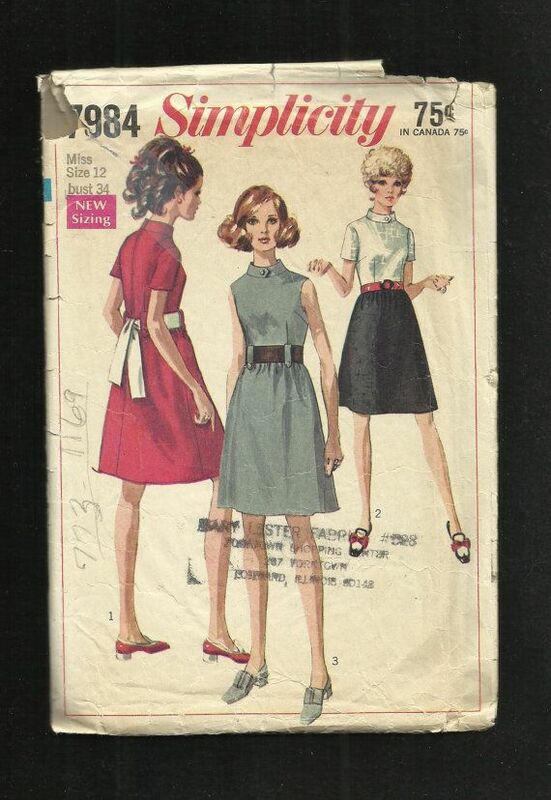 After consulting with DD1 and 2, Simplicity 2648 became my project. So, for the fabric. I used a Red Scuba Knit from Hancock's for this dress. The color is what I feel is a true blue under-toned red. I made view C with the rounded neckline and view A's little belt detail. Of course, I couldn't leave well enough alone, so I made a just-the-right-size embroidery with tone-on-tone thread on the front under the lowest part of the neckline. And, there was just the right spot for a Swarovski crystal, so I added that as well! You can read about my fitting process on my blog. What I do notice in my photos is that I need some new spanx! I thought about eliminating the facings at the neckline and armholes but I really like the clean finish rather than what a binding would give this dress. So, part of this challenge was to create a story about your dress. Here's mine. Every February, I have an extended break from work and my husband and I use that time to visit our oldest daughter and son-in-law. They live about an hour from New Orleans, and while we are there, I'd love to dine in a lovely restaurant in the French Quarter! It will be fun for us girls to wear special dresses and go out for dinner and hopefully some dancing! And, in case you are wondering, I did test the dress for dance-ability and yep, it works! I'm glad no one is going home because I really love them all! Great job, ladies! OH, this is hard to pick because they are all so good!!!!!!!!! Glad no one is going home!